As far back as I can remember, I have been completely fascinated by words. Without them, many things in life would be far different than they are now. 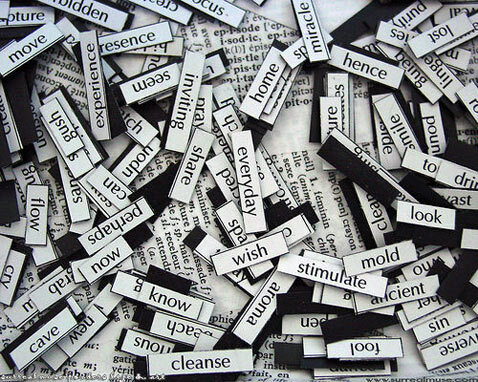 Just think of all of the ways words are utilized in every day life. There is a statistic that says that the average person commonly uses 1500 to 2000 words with frequency. In other words, we can get by on these alone and not have to delve into the other several thousands that are at our disposal. When I read a book, I underline the words that I do not understand or have never seen before. Today I began reading "The Triumph Of Sam Cooke:Dream Boogie. I am a fan of this guy in so many ways. Anyhow, three words came up in the first 40 pages that gave me pause. The first was, "pernicious". The second was, "rectitude". The last one was, "taciturn". Although, I have seen one of these words before, I had no idea what any of them meant. So I made sure that I promised myself to define them later on. There is just something curiously exiting for me to define new words and I have no idea why? The longest word in popular usage is ANTIDISESTABLISHMENTARIANISM (a movement opposed to the separation of church and state) at 28 letters. The 45 letter word PNEUMONOULTRAMICROSCOPICSILICOVOLCANOCONIOSIS (a lung disease caused by breathing in certain particles) also appears in many English dictionaries. However, as it's use is strictly medical or scientific, some may not consider this truely part of the English language. So my question to you is, when you come across a word that you do not understand, do you just move on to the next sentence or are you at all curious. I am actually curious what other people feel about this little query? Now back to those words that I underlined in the book earlier. I could not just leave you hanging without showing you what I found! causing insidious harm or ruin; ruinous; injurious; hurtful: pernicious teachings; a pernicious lie. deadly; fatal: a pernicious disease. rightness of principle or conduct; moral virtue: the rectitude of her motives. inclined to silence; reserved in speech; reluctant to join in conversation. dour, stern, and silent in expression and manner. Words are magic and I love them!!!!!!! Remain curious and you will never ever be bored!! !